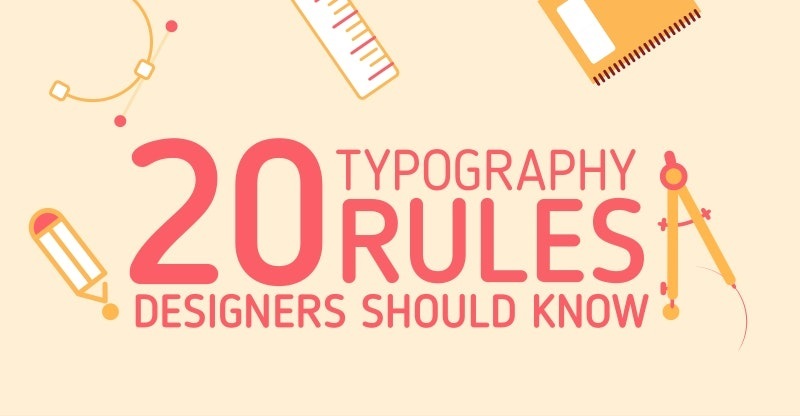 Typography is one of the most important and gratifying components of graphic design. Regardless of how experienced a designer you've become, it’s always helpful to recharge your mind about the principles of typography. Try to learn specific things like the origin of a particular font or the structure of a typeface since stuff like this can enrich the meaning of your design. It’s quite impressive, especially to your potential clients, when you actually know your craft. Also, as a designer, it's your responsibility to know the ins and outs of typography. And once you know the rules, it's easier for you to break them.